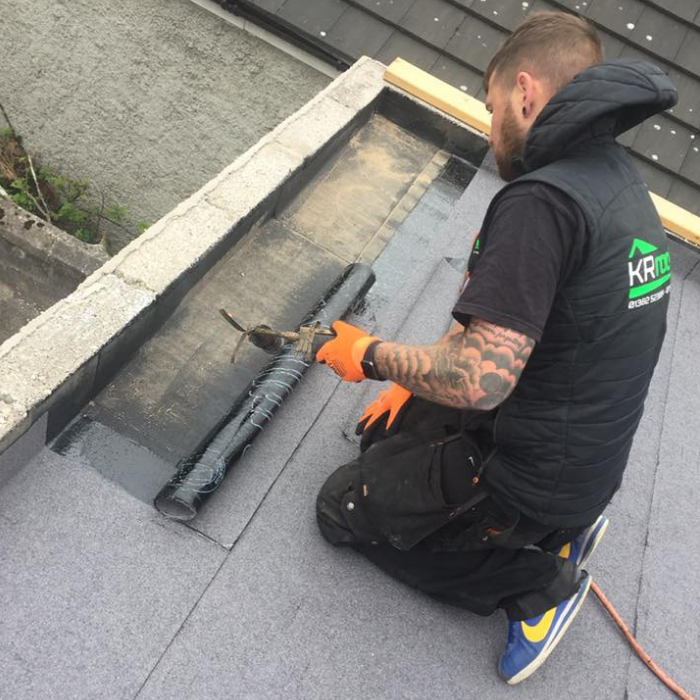 We are roofing specialists based in Dundee, Scotland and work throughout Scotland providing our customers with the highest quality roofing services and workmanship. Our professional team of roofers will guide you from the early stages to find the best solution for your property and work with you throughout the project to completion.We pride ourselves in our professionalism and high-quality workmanship and treat every project with the same attention to detail, whether it a minor repair or full installation. Our overall satisfaction rating on Referenceline is 9.9/10 and all our customer reviews, including Referenceline, Google and Facebook are excellent. If you’d like to arrange a free estimate please get in touch today! Alongside our passion for roofing, we’re passionate about giving back to the community. We proudly sponsor Fairmuir Boys 2009’s football team and Dundee Stars Ice Hockey team. KR Answered my initial query promptly and visited to inspect potential work . They identified the needed actions and explained them to my complete satisfaction. The quote for the work was fair. The work was carried out efficiently and professionally to high standards. I am pleased with result. They tidied afterward sand removed debris. The team were well mannered and pleasant to deal with. 5th call made, but KR Roofing was kind enough to nip round 30 mins after I discovered a hole in my roof, and had me fixed within 15 minutes - top service, explained in detail the issue, and didn’t grumble like many others would for a small job (on a Sunday! ).Thanks again, highly recommended! Kevin and his team replaced my old roof, stripped and re tiled, also done facia soffits and gutters, they were always on time kept me up-to date with everything and finished job on time and on schedule! Highly recommend 10/10. Recently carried out roofing repairs on our property, was a very nice contractor to deal with and left and excellent finish. Kevin was very professional in dealing with my elderly mother. From initial contact, quote and job completion. Great workmanship and customer service. Would most definitely recommend. Thanks again.